Workers at Woolworths’ Victorian and New South Wales distribution centres may go on strike in the coming weeks over pay and job security. 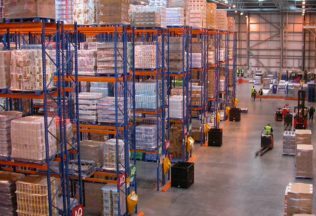 Industrial action at three Victorian and one New South Wales distribution centre would likely cause supply chain problems in Woolworths supermarkets and liquor stores in these states. The National Union of Workers last week lodged applications in the Fair Work Commission, flagging possible strikes. Why are Woolworths workers considering strike action? The workers are seeking improved job security, more full-time work, greater redundancy pay-outs and wage increases of two dollars an hour, per year. There are approximately 2,000 staff across the four sites. A Woolworths spokesperson said the company was negotiating with staff. “We will continue to work with our team members and their chosen representatives to get the right outcome at each of our sites,” Woolworths said. Hume distribution centre to close. Staff at the distribution centres still have to vote on whether they agree to go on strike before action would commence. The potential strike comes at a time when one Woolworths’ distribution centres in Broadmeadows is set to close. Woolworths announced that the distribution centre in Melbourne’s north would be moved to a site in the city’s east. The closure may see the loss of 700 jobs, with the new site set to employ fewer workers due to the greater use of automation. The date of closure is yet to be finalised. The NUW was contacted by Australian Food News regarding this matter, but has yet to comment.